The Saif Ghobash Banipal Prize for Arabic Literary Translation recently announced the 19 titles in contention for the 2016 prize. 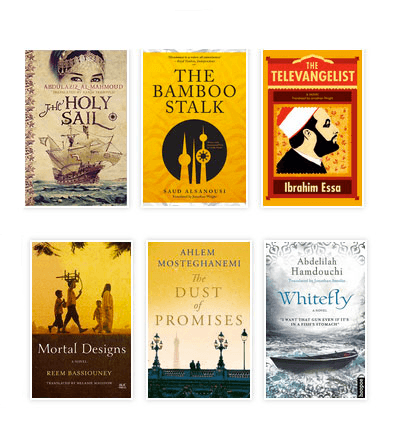 Among the list of eligible works are Jonathan Smolin’s translation of Abdelilah Hamdouchi‘s Hoopoe novel Whitefly and Jonathan Wright’s rendition of Ibrahim Essa‘s Hoopoe novel The Televangelist. Jonathan ‪Smolin‬ is currently directing a study-abroad program for Dartmouth College in Rabat, Morocco. He is also the translator of A Rare Blue Bird Flies with Me and associate professor of Arabic and chair of the Asian and Middle Eastern Languages and Literatures at Dartmouth College. Jonathan Wright was formerly the Reuters bureau chief in Cairo. He has translated Alaa Al-Aswany, Youssef Ziedan, and Hassan Blassim. In 2013, he received the Banipal Prize for Arabic Literary Translation for the translation of Azazeel by Youssef Ziedan, and a year later, the Independent Foreign Fiction Prize for the translation of The Iraqi Christ by Hassan Blassim. The Saif Ghobash Banipal Prize for Arabic Literary Translation was established in 2005. The prize is an annual award of £3,000, made to the translator(s) of a published translation in English of a full-length imaginative and creative Arabic work of literary merit published after, or during, the year 1967 and first published in English translation in the year prior to the award.